Jaz and I have officially booked our wedding photographer and it feels like things are finally coming together! Venue, catering and photographer are booked, Save the Dates have been sent, Bridesmaids and Groomsmen have been chosen so we’re definitely getting there and still have over a year to go. In today’s post, I thought I’d share with you all my tips and how we went about booking the photographer. If you’re a new bride to be in the UK I cannot recommend the app Bridebook enough. (Not sponsored, just really love this app!) Bridebook sets out every task you need to do and when ideally you should do it by in an easy, manageable way. You can find pretty much everything you need from the app. It’s how we found both the venue and the photographer. It’s super simple to use, has a brilliant checklist and a wedding countdown and it’s really satisfying to check off a task. When I first got engaged I had no idea what to do or where to start and Bridebook was a MASSIVE help. During March our recommended task was to find and secure a photographer. So I went in search of wedding photographers in Essex and was overwhelmed with the choice. How do you know if they’re right for you? How do you choose? What photography style do I even like? Are they really THAT much?! I must’ve viewed hundreds of websites without really knowing what I was looking for. After viewing so many I started to learn what kind of style I liked and could envision for my own wedding. I found myself leaning toward the dark, moody aesthetic that I thought would be perfect for an autumn wedding. One photographer really stood out to me, Lucie MLT Photography. I liked her style and her previous wedding work looked stunning! From the bio on her website and her emails, she also seemed like a really nice person who would be easy to get along with. I’m a painfully shy person so finding someone who I feel I could talk to easily is a big deal for me. Have you shot at my venue before? Will you need to visit it? Is a photo album included in the price? What videographers have you worked with before that you can recommend? How many images will we receive and when will we receive them? How long will the posed/group pictures take? During the meeting, more questions came up and she also asked about us as a couple and what we had planned for the wedding so far. Another question I asked was whether she’d be able to recreate a photo I’d always loved from my parents’ wedding. Apparently, a lot of people ask for this so it was definitely doable! Both Jaz and I thought the meeting went really well. She was definitely easy to talk to and we shared a mutual love for Harry Potter which is always great! After she left Jaz and I both instantly agreed we wanted her and her partner for our wedding. We loved the idea of having two photographers in order for them to capture both of us getting ready on the day and images of the ceremony plus the guests’ reactions. We found out her partner is also dabbling in videography so she offered us a 2-5 minute highlight video, rather than a 30-minute full day video, of the wedding for a discounted price which we decided to go for in the end. Jaz and I chose the diamond package which includes full day coverage, two photographers, a photo album, an entire gallery of digitals, the highlight video, a bloc print wall art and an engagement shoot. The engagement shoot will be really useful for us in terms of getting used to a camera and she’d also teach us a few posing tricks. In total, the package was £1,645 which we thought was really reasonable considering it included video as well. When we’d been looking for videographers as well as a photographer we discovered it was going to cost another £500-£1000 on top and it seemed like such an unnecessary expense. We paid a 20% deposit up front when we booked and the rest will be paid in October next year. Booking our wedding photographer was probably the smoothest part of wedding planning we’ve experienced so far! We were very lucky finding someone we liked and got along with right away. Like with everything when it comes to wedding planning you’ll get that feeling and just know when something is right for you. From the moment I saw her website I had a good feeling about Lucie and just a few short weeks later we booked her! My biggest tip for finding a photographer is to try and not get too overwhelmed! If, like me, you know nothing about photographer take your time looking at the galleries on photographers websites and learn what you like and don’t like. Some galleries I was instantly drawn too, like Lucie’s, and others I would find myself aimlessly scrolling, not really stopping to take a closer look. Creating a wedding photography board on Pinterest was also really useful. I found I was pinning very similar styles which really helped me in deciding what I wanted. Make a list of your top photographers to contact for more information and the rest will just fall into place. I hope you all enjoyed this post! 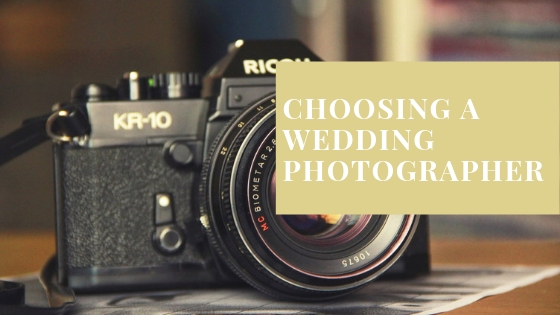 If you’re planning a wedding or are already married what other tips would you suggest for finding a wedding photographer? While you’re here don’t forget to subscribe to my blog! If there’s any more wedding planning content you’d like to see here just let me know in the comments. You can also follow me on Twitter, Instagram and Pinterest too. Thanks for reading! This was so helpful! 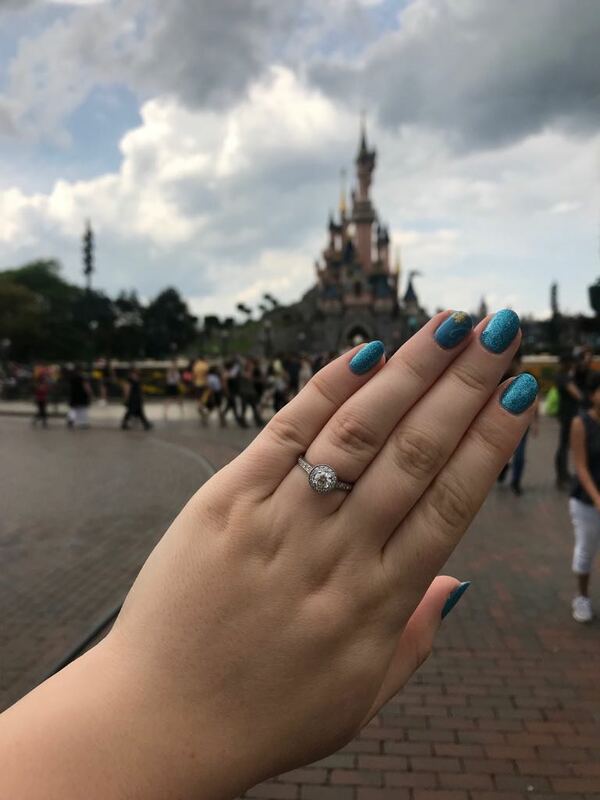 I’ve recently gotten engaged and even though I did Events Management with the intention of being a wedding planner I am overwhelmed by how much there is! 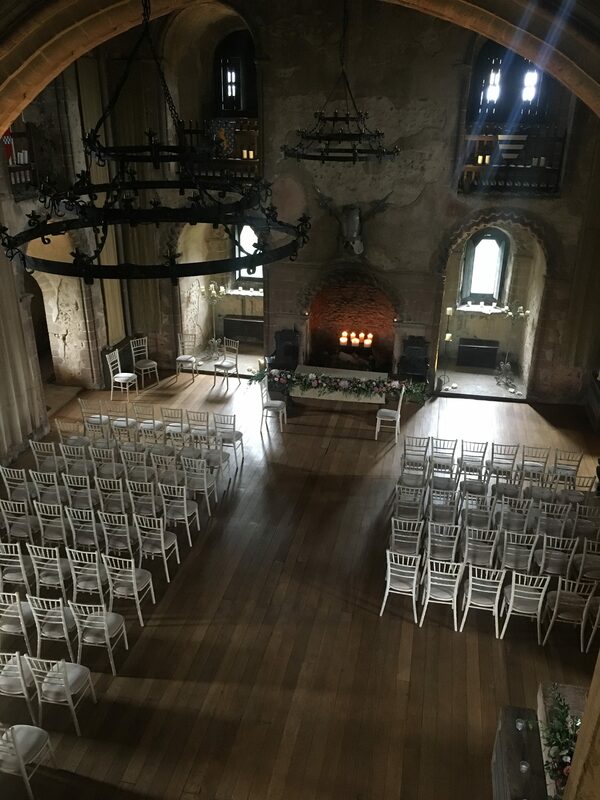 A photographer is the second thing I’ll be booking after picking our venue but I never thought about what questions to ask them so I’ll be saving this for when the time comes! 9 Things I Love About Spring!